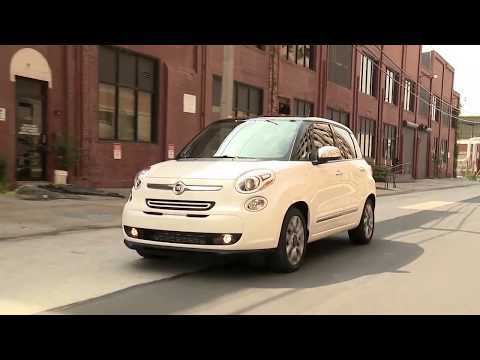 The Fiat 500L is a tall-riding wagon that shapes the familiar Fiat face across an oblong body. With the 500L, Fiat has a rival for cars like the Honda Fit, the Kia Soul, and the Mini Countryman. 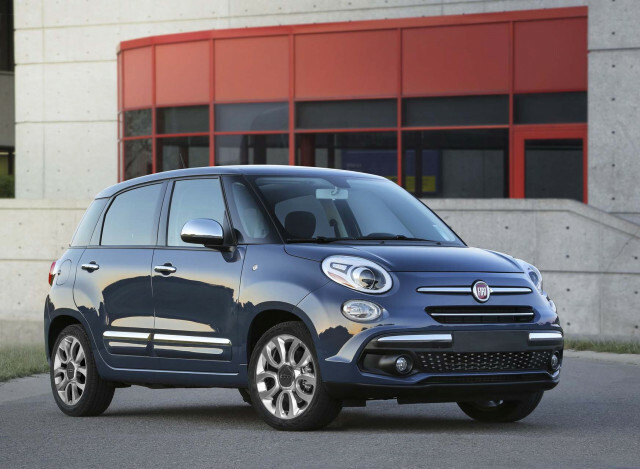 It may share a nameplate with other Fiats, but the 500L is entirely different. It's built (in Serbia) on a separate set of underpinnings than the 500 hatchback and cabrio, and the 500X crossover SUV. The 500L hasn't been a huge success; its main strength is remarkable interior room compared to its small footprint. In 2017, the lineup was rationalized down to three trim levels: Pop, Trekking, and Lounge. It received a very mild restyling and a host of interior upgrades for 2018. It was unchanged for 2019. The 500L's styling is tall, glassy, and distinctive when specified with the contrasting roof—especially effective when the roof is white and the lower body is black. The front end is the least successful aspect of the design, with high-set lights and a very tall approximation of the smaller and cuter 500 minicar's nose. The interior is pleasingly simple and intuitive, though, with excellent storage space in a multitude of bins, trays, containers, and pockets for all the loose items we carry with us on road trips these days. At launch, the 500L came with a single engine and a choice of two transmissions that expanded to three. 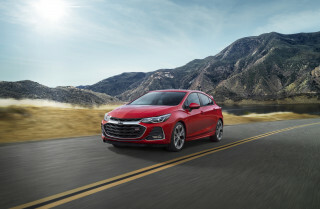 The 160-horsepower turbocharged 1.4-liter 4-cylinder engine came standard with a 6-speed manual, with an optional 6-speed automatic or a 6-speed dual-clutch transmission available as well. 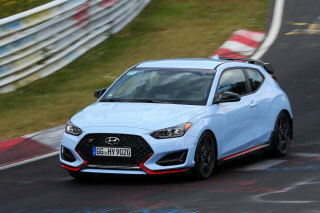 The 6-speed dual-clutch was quickly dropped. It's only offered in front-wheel-drive form. A Fiat 500X that offers AWD arrived for the 2016 model year. 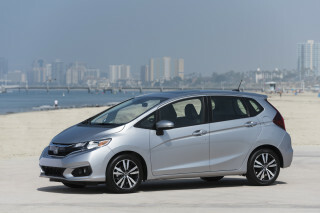 Gas mileage is rated at 22 mpg city, 30 highway, 25 combined with the automatic. For 2017, the trim levels on the 500L have been simplified to a base Pop, the outdoorsy Trekking, and a fully featured Lounge version. The basic Pop and all other models include standard air conditioning, cruise control, audio controls on the steering wheel, a tilting and telescoping steering wheel, and a six-speaker audio system with a 5.0-inch touchscreen display, Bluetooth audio streaming, and both audio and USB ports. Some earlier model years included an intermediate level, Easy, with 16-inch alloy wheels, a front center console/armrest, cloth upholstery, an upgraded sound system, tinted rear glass, and a leather-wrapped steering wheel and shift knob. The Trekking, as its name indicates, adds lots of rugged-look accessories that give it the appearance of being ready to go off road (but again, it's still front-drive only). 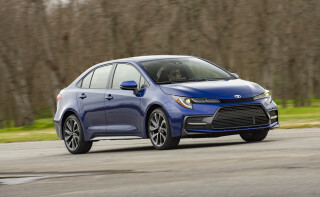 Those include larger, 17-inch wheels; fog lights; fender flares; and tougher-looking front and rear fascias. Trekking models also add a unique two-tone black and brown interior. Move up to the top-of-the-line Lounge model and you add power heated leather seats; a rear seat that slides back and forth, reclines, splits, folds, and tumbles; a dual-zone climate control system; and fog lights up front. Options are offered as various packages and individual items, including a rearview camera, rear parking sensors, and a fairly rudimentary navigation system. In 2018, the 500L received a number of changes and updates. The front and rear were mildly redesigned, and it received both new wheels and daytime running lights. A rearview camera was finally made standard, and interior changes include a rearranged center console, gear shift, and parking brake; a new steering wheel; a digital instrument cluster; and LED ambient interior lighting. 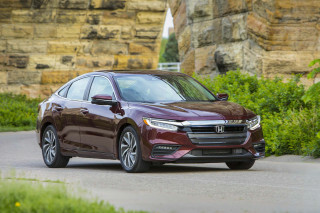 The latest Uconnect 4 infotainment system was updated with a 7.0-inch touchscreen in the dash center as standard, and Android Auto and Apple CarPlay connectivity were added as well. Does what it is supposed to do...at a reasonable price...what's not to like? You could say we have been a bit spoiled...eight Volvos, one Lexus and one Acura in the past decade and a half. Yep, we are the ones you WANT to buy a used car from! We would typically drive our $40-50k... You could say we have been a bit spoiled...eight Volvos, one Lexus and one Acura in the past decade and a half. Yep, we are the ones you WANT to buy a used car from! We would typically drive our $40-50k vehicles for ~3 years(a bit more on the XC60) and swap for a new one. With the bottom falling out of the oil and gas business, we decided to be a bit more frugal this time. Who knew saving twenty grand could be so much fun!?! The story is...DW is commuting 60 miles a day, five days a week...plus normal driving for errands, fun, etc. Really didn't want to put those miles on another Volvo or Acura; but wanted something she would be comfortable in, smaller footprint than before, AND something with a rather tall driver's seat position(all those Texas trucks and SUVs, if you know what I mean). Seriously considered 'smaller' offerings from Lexus(the NX is nearly identical to the footprint of our former RX), Mazda(the CX3 was just hitting the showrooms, as was the Honda HRV)...Volvo hasn't seen fit to bring the XC40 to the States...so, off I go to look at the Countryman(sits too low, costs too much, has too little room) and then drove to the FIAT dealer to look at the X...hmmm, same problems with the X as with the Countryman. To make a long story longer, I drove the 500L and enjoyed the small footprint, decent cargo space(think bicycle transport), decent trans and engine and decent safety ratings...along with a strong sound system and built-in nav/bluetooth/etc. We opted for the Lounge without sunroof and got it for about $23k. I really don't think we could have found a better deal with the features we wanted from any of the previously mentioned models. 4-year warranty is a plus; but no warranty issues have come up in 6 months/8k miles. Mileage is OK at an average 27, running 87 octane Top Tier fuel. Only one trip of significance and the Elle has a little trouble sitting on 75mph without shifting at the first sign of a hill or headwind...not exactly the 270-300 hp vehicles we have been accustomed to ;). BIG plus for us is having this much usable space in such a small footprint. Our townhouse garage will hold the RDX or XC60; but just barely. It's very nice having an extra foot fore/aft when parking...and the turning circle is tiny in comparison. All the while, the Elle will hold people and cargo in surprising fashion. The two-tiered cargo area is a stroke of genius. Did I mention visibility for 360 degrees is excellent!!! Especially compared to the sloping, glassless rear ends of so many CUV-styled vehicles of the past few years. Yeah, the styling is a little quirky; but what isn't nowadays. People say "Why not get the Kia Soul? "...well, I didn't want a Kia, so there. Didn't want a FIT, either...didn't want to pay sticker for the HRV, that's for sure! I think the 500L is pretty much what we needed at a very fair price. Will we keep it forever?...perhaps not, especially if Volvo gets its act together; but I have to say that $20-25k difference in price sure makes the FIAT worth investigating. I purchased a loaded Lounge for almost $9000.00 off MSRP. One week after delivery and with less 500 miles on it I set off for a 3500 mile vacation trip with my two German Shepherd s. The car was FANTASTIC!... I purchased a loaded Lounge for almost $9000.00 off MSRP. One week after delivery and with less 500 miles on it I set off for a 3500 mile vacation trip with my two German Shepherd s.
The car was FANTASTIC! Roomy comfortable and quite. Cruised at 80 mph with A/C blowing 105 degree Texas heat. I have put almost 44k on it commuting and traveling to dog shows.